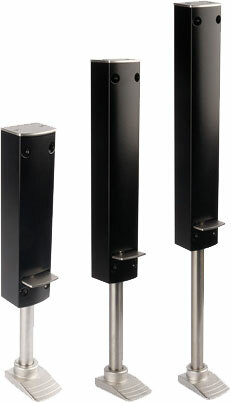 Vintage, retro, antique - black design for door hardware and door closers? In many European contries, products like these are already in trend. 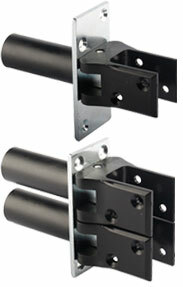 Many DICTATOR door closer products are also available in classy black design. 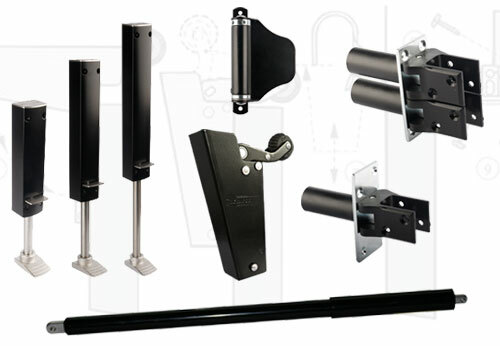 Whether you want to follow the trend or you just want to equip your door with reliable door closers, door checks, etc. : DICTATOR is always the right partner for you. You would like individual advice? We would be happy to assist you in choosing the right product and to elaborate together with you an individual solution. This free-of-charge service is included. With the ZE door holders you can set doors in any position. The casing made in one piece is extremely solid and elegant. ZE door holders have been completed by the new Design Line, which offers strokes of up to 160 mm, the total height being very short. It is difficult to imagine the modern shop construction without the DICTATOR swing door hinges. They are also well-established in steel and plant construction and in vehicle construction (refrigerated trucks). The plastic version is as sturdy as the one in brass or stainless steel. However, there is a big advantage: it is much more affordable. In the context of the Black Line, it is also available with black plastic shoe.